Recently storyteller Simone visited Maastricht for the weekend. 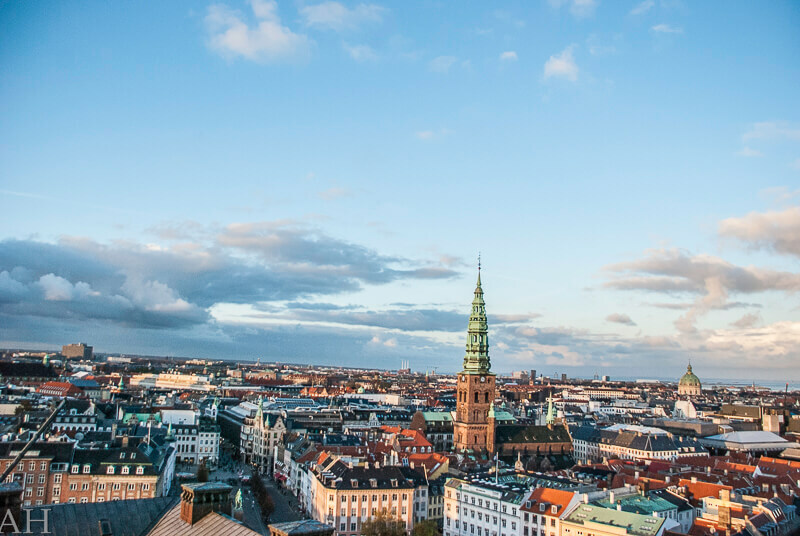 While she had been there before, she never took the chance to truly explore all the city has to offer. That’s why on a rainy Thursday afternoon she hopped on the train to go and check it out. Looking back on this recent weekend getaway, she says ‘food and drinks’ is a decent summary. 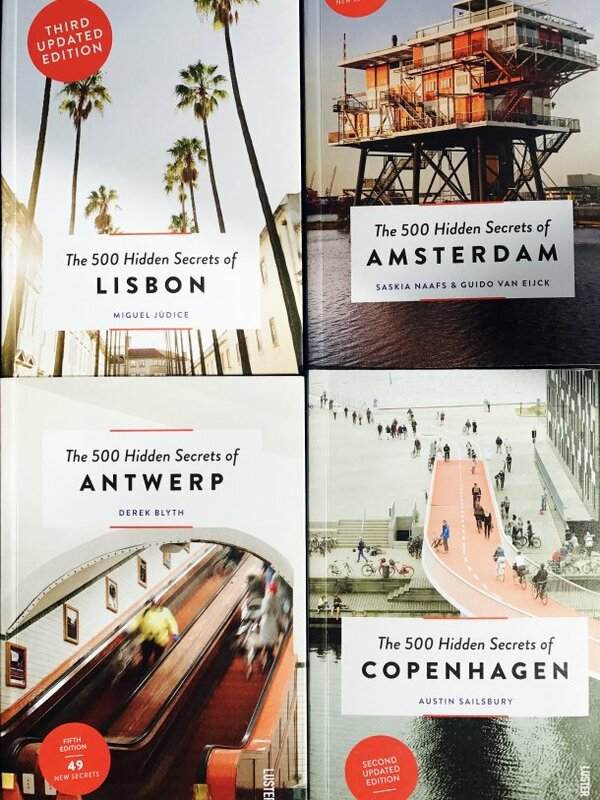 However, don’t underestimate what else the most southern city of the Netherlands has got on display! 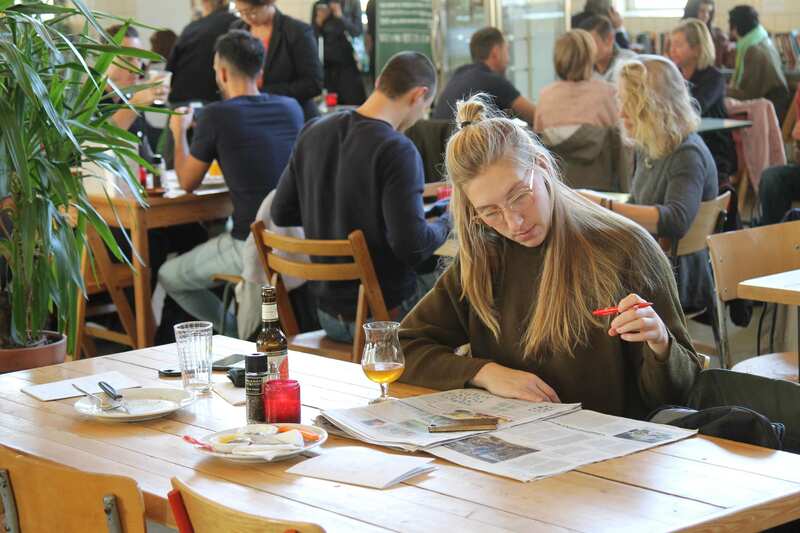 On our first morning we decided to go for breakfast at De Bisschopsmolen, the first 100% spelt bakery in the Netherlands. We didn’t go because of the spelt, though. Then why did we? 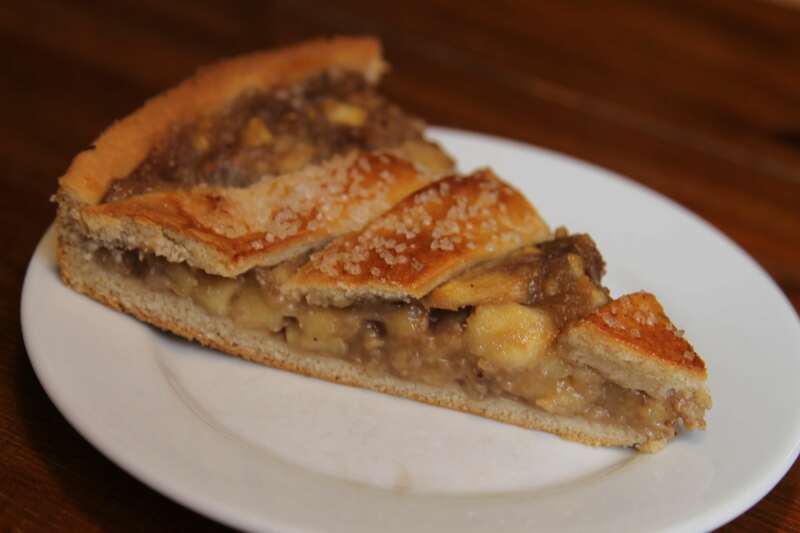 Well, it’s one of the best places to go for ‘Limburgse vlaai’ (traditional South Dutch pie). Spelt nowadays has a bit of a hip and cool feel to it. We were pleasantly surprised to find out that De Bisschopsmolen decided not to care. Both bakery and next door café are low-key, with sturdy wooden furniture and a no-nonsense ambiance. Needless to say, the pie was indeed amazing. Don’t forget the check out the seventh century (!!!) water mill on your way out – up until now it still powers the grain mill inside. As the weather was of a typical Dutch kind (drizzling rain), we decided to not stay outside for long. 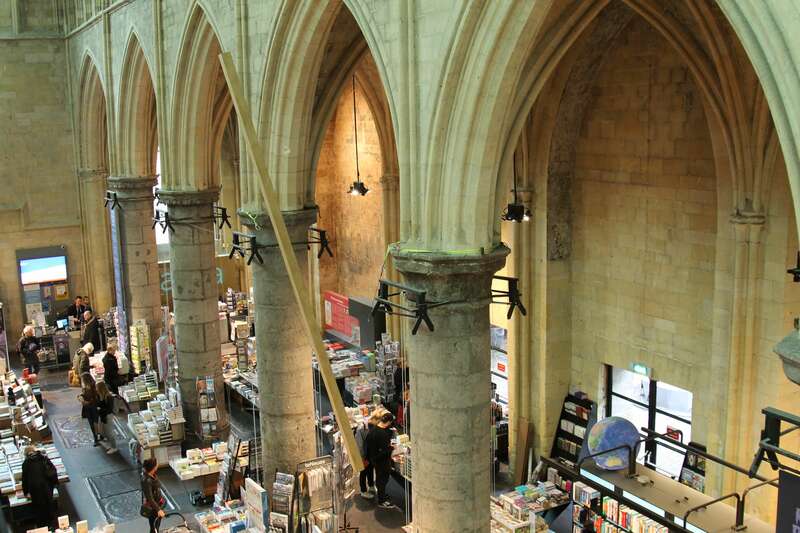 Next stop: the famous Dominicanen bookstore that is located in a seven-hundred-year-old Gothic monastery church. It has been named “The fairest bookshop of the world, a bookshop made in heaven” by The Guardian. And man, were they right. This book-filled church is a book lover’s dream! A coffee lover’s dream too by the way: in the ambulatory in the back there’s a cute and good coffee shop named ‘Coffeelovers’. The weather still wasn’t very inviting when we exited the bookshop. Therefore, we went straight on to our next goal: the Brandweerkantine. This café/restaurant is located in the canteen of a former fire brigade. Next to the nice mix of visitors in the spacious café, lots of entrepreneurs populate this building. The original fireman’s pole from which firefighters used to slide down when called to an emergency is still intact. The open plan, retro interior and abundance of plants make for a great place to hang out. Add an extensive menu and a deck of cards and you don’t want to leave for a couple of hours! Finally, the sun came out – and so did we. We walked over the thirteenth-century Sint Servaas bridge across the Meuse river (‘Maas’ in Dutch – hence Maastricht), towards the neighborhood named ‘Wyck’. 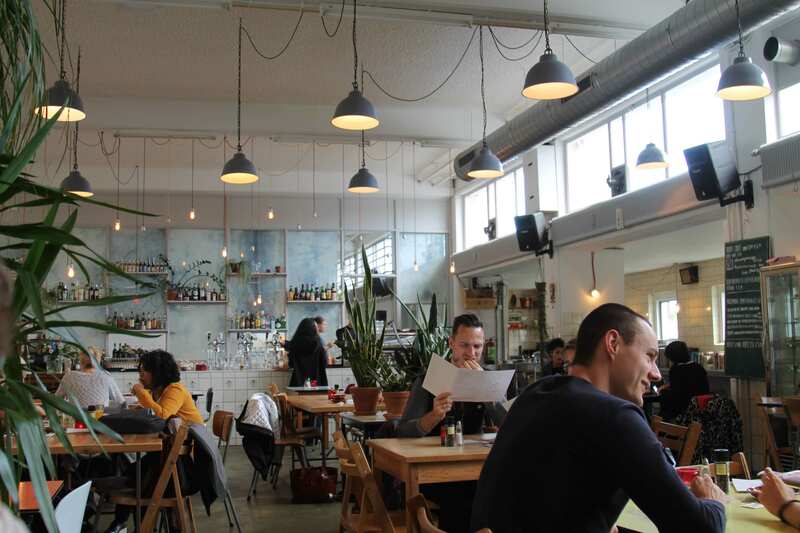 You can find Brandweerkantine’s baby brother café there, named Café Zondag. This area of town offers a unique variety of cute boutiques, vintage shops and small artist workshops. Maastricht really boasts lots of pretty streets and historical buildings that we enjoyed to the fullest. The next morning we went for breakfast and some more pie. 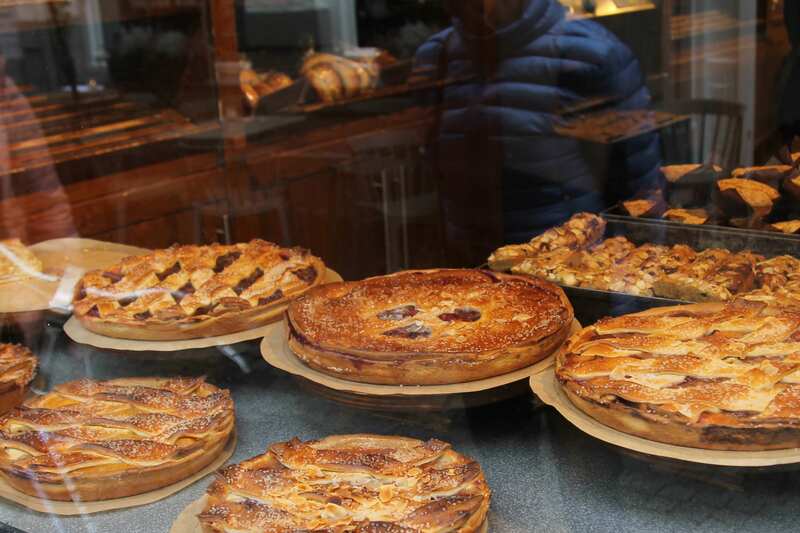 Pastry shop Peter Lemmens apparently also makes one of the best pies of Maastricht – and we didn’t mind sacrificing ourselves to try it out. The verdict? I can’t choose, really. After breakfast we went for a proper walk in the direction of the limestone quarry just outside Maastricht. Too bad we underestimated the distance and windy weather: half an hour later we were cold and lost. Where was the entrance of this damn quarry? We decided to ask a random guy for directions and… were immediately offered a ride. Yay to Maastricht’s welcoming residents! Despite the wind and rain, the quarry was still worth the visit. The almost abandoned industrial area (next year the marl winning will definitely stop after 100 years) was an atypical ‘landscape’ and an almost alienating sight. The old industrial structures, the limestone caves and excavations and the bright turquoise ponds would have been a great backdrop for a RollerCoaster Tycoon theme. (Who else played this game in their teens?!) We ended our walk at Grand café Slavante to warm ourselves up with a hot chocolate. Then it was time for us to return home. In short, Maastricht treated us well. If you decide to not mind some extra pounds from being lured into its many restaurants, you will have a great time. Enjoy the Burgundian lifestyle, soak up the many historic sights and don’t forget to try out some of that pie! Putting studies on hold or quit a fulltime job to travel? Sounds like Simone! It’s the freedom she enjoys most. 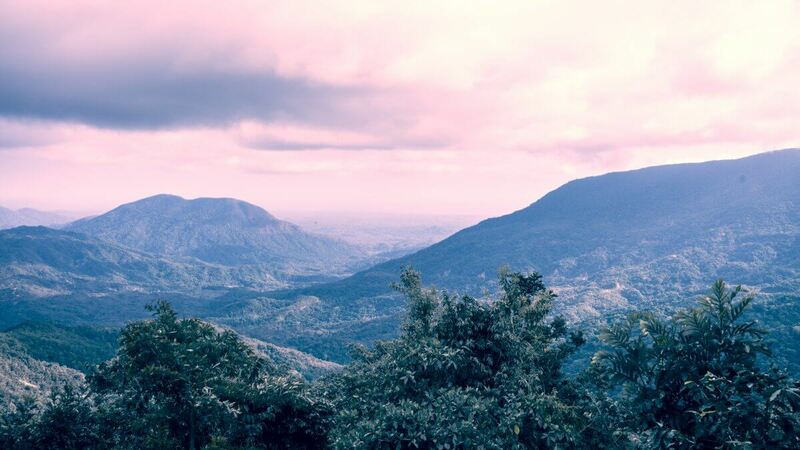 Preferably against the backdrop of beautiful nature, cultural differences and some physical activity. Trained as a communication expert, Simone has worked in various marketing and communication jobs. At the end of 2016 – right after being given a permanent contract – she decided to say goodbye to the fulltime office life. Central America was the cure – at least for as long as money could take her. Now she’s back, debating her next step. She is happy to share her travel stories with you!